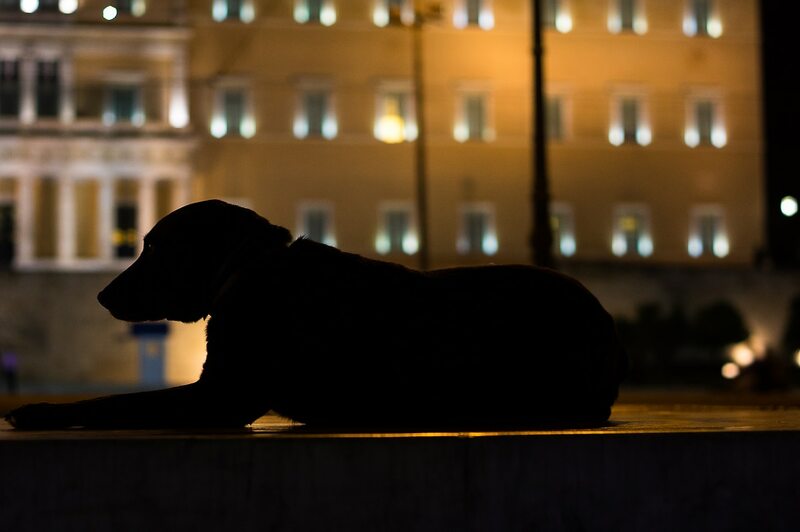 Writing an article about Athens feels strange to me. After all, it is my hometown and looking at it as a travel destination doesn’t come natural. 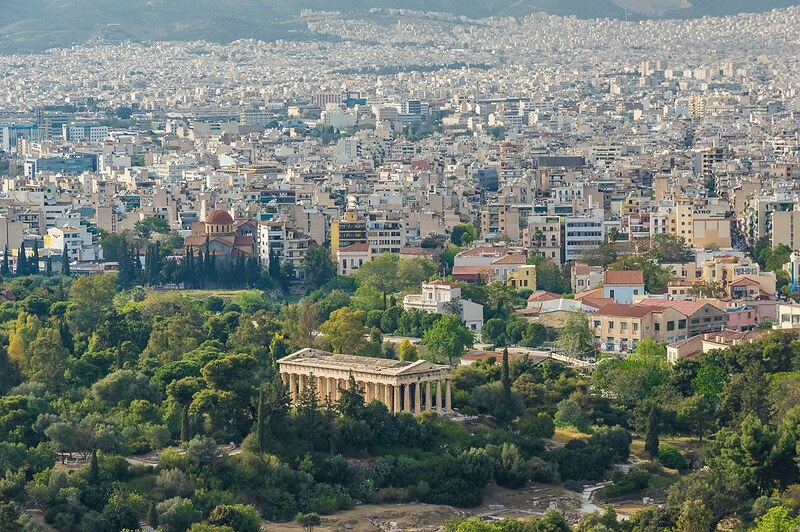 I have to admit that the Greek capital doesn’t look attractive on first sight. When the rest of Europe was going through renaissance, Greece was occupied by the Turks. Unlike other European capitals, there are no wide avenues and perfectly aligned blocks with big squares and elaborate gardens. Centuries of building without urban planning have led to an anarchic pattern which is irreversible I’m afraid, but also a part of its character. 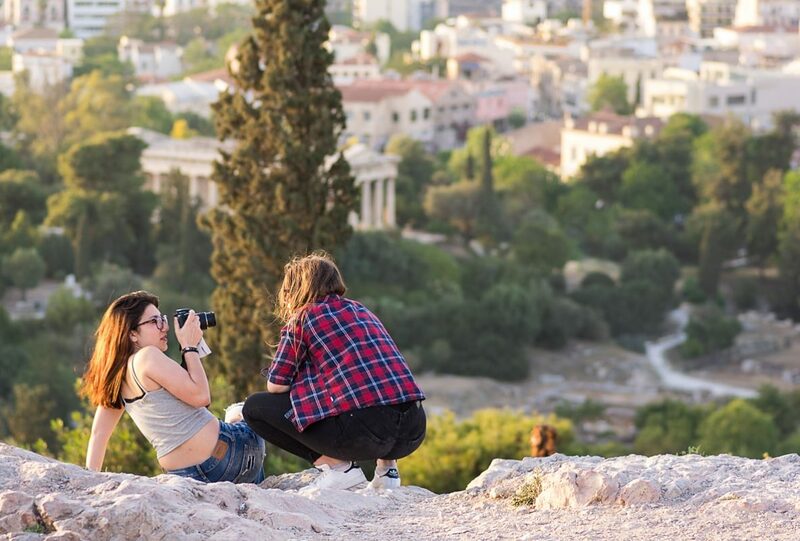 Athens’ beauty lies under its skin. It’s in the little shops and tiny cafes which live in every neighborhood. The city still has neighborhoods in the traditional sense of the word. People more or less know each other in the area where they live, even if it’s in a lesser degree than it was in the past. Every neighborhood has: its bakery, a butcher, a kiosk and even a grocery store which became a rarity in the 90s but came back with the crisis and the bankruptcy of many supermarkets. I grew up in a neighborhood close to the historical center, called Kato Petralona. “Kato” means lower and the clarification is there to denote that the neighborhood is divided by the train tracks into lower and upper Petralona. Back in the eighties and early nineties when I was kid, it was a working class area and Athens a different city altogether. We were allowed to roam outside by ourselves, therefore take a couple of friends, a ball, and head to the nearest square for a match. We also liked to explore the city. “Parents didn’t always approve that”. We would walk to the train tracks which are less than two minutes away from the block where I used to live. Once we got there we would turn left and walk along the fence while Metropolitan trains passed by every now and then with their rhythmic pulse-like thud. After the 12th high school and just before Pireos Avenue we stopped since it was the border of our neighborhood with Thission and we were not allowed to cross it, something we respected. Later in our teenhood we would go on, turning right under the bridge and walking on the old abandoned tram tracks towards Thission which in turn would get us to the cobbled road of Dionisiou Areopagitou and from there straight all the way to Acropolis hill. If you try to draw the borders of the historical center on a map, it will look like a triangle between Thission, Monastiraki and Acropolis. The centerpiece will be Parthenon of course. 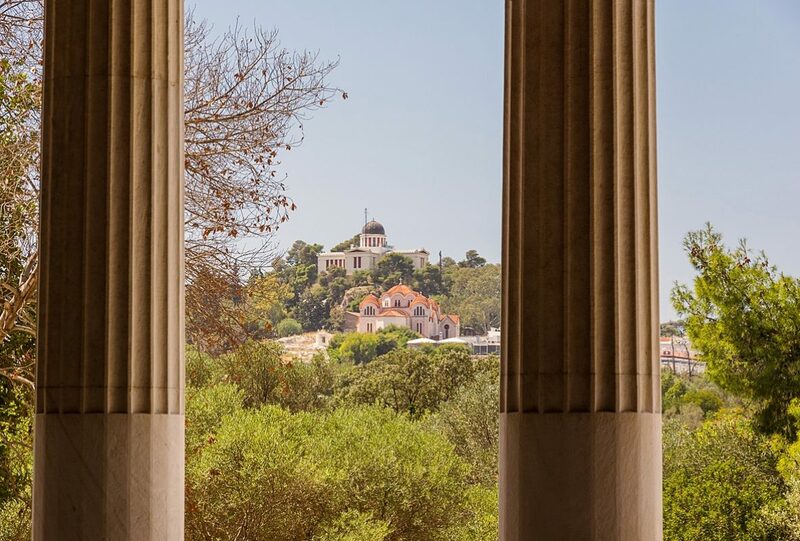 Forty six Doric order columns on the outer side, support one of the most important cultural buildings in the world. Made from the purest Pentelic marble the mountain had to offer. Even though it is severely damaged by Venetians, Turks, early Christians and plundered by Lord Elgin. 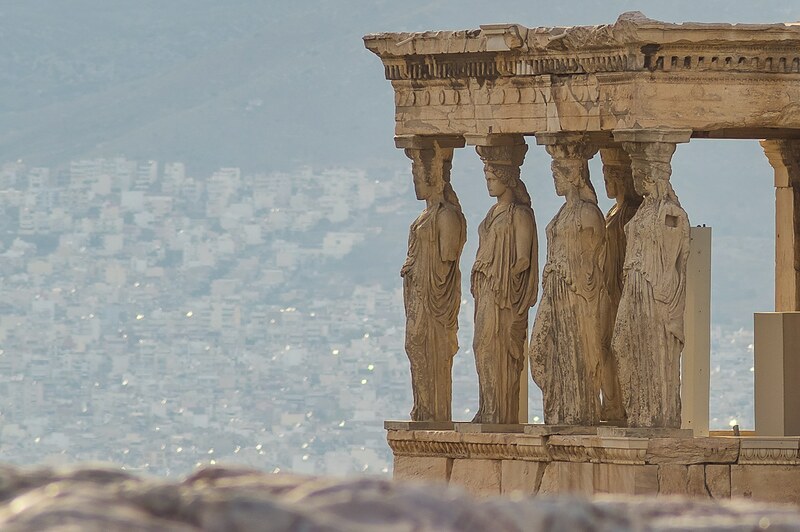 It still is a monument to the love ancient Greeks had for arts and especially architecture. 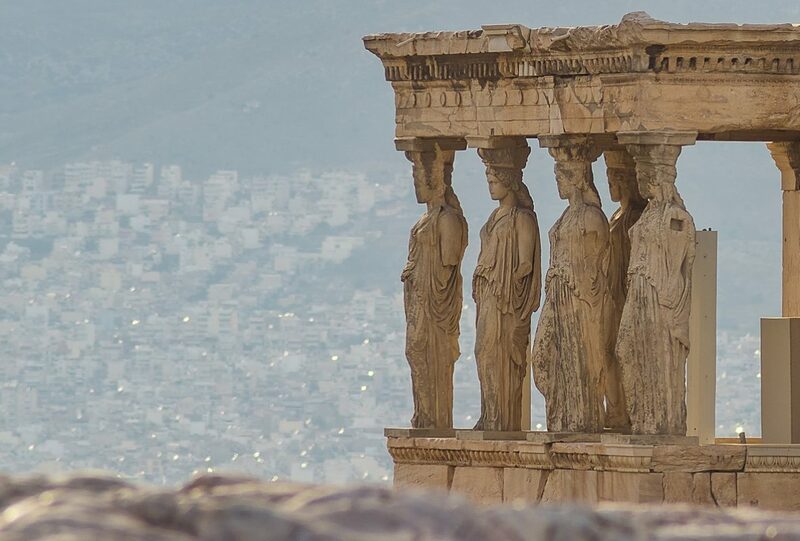 Even Caryatids, the female shaped columns that support Erechtheion seem to stare at the awe-inspiring temple. Built to perfection by Iktinos and Callicrates, and decorated by a true master sculptor: Phidias, Parthenon is a wonder to observe. Its two fathers even gave a small curvature to its longest lines so that they would appear straight to the imperfect human eye, and they did so 2500 years ago. 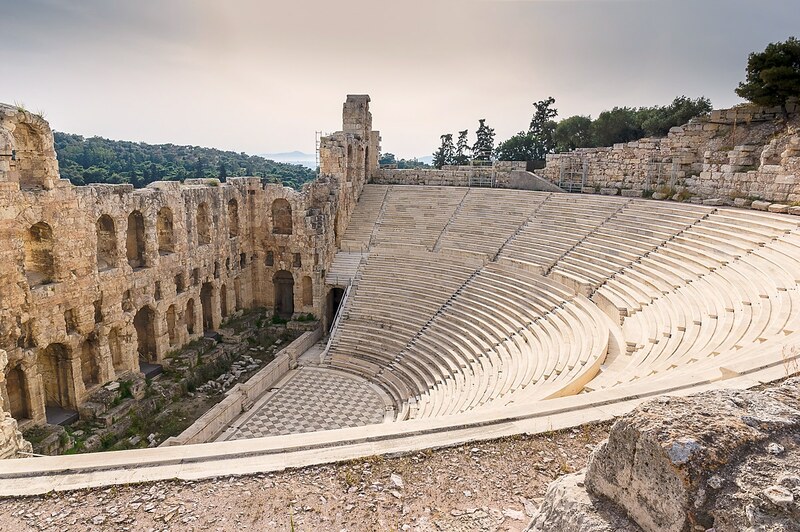 On the south side of Acropolis rests the Theatre of Dionysus, the first stone theatre ever build. A bit to the west is the Odeon of Herodes Atticus. Fully restored and functional it has hosted several great artists during the years: Luciano Pavarotti, Elton John, Frank Sinatra and Maria Callas to name a few. It still hosts some great concerts from time to time and they are always very special nights with the extravagant lighting of the Odeon and the lightened Acropolis in the background. Just across the street is the new museum of Acropolis. The contemporary building made of glass and concrete is a landmark in its own right. Artifacts and building are working as a single entity giving an amazing experience. 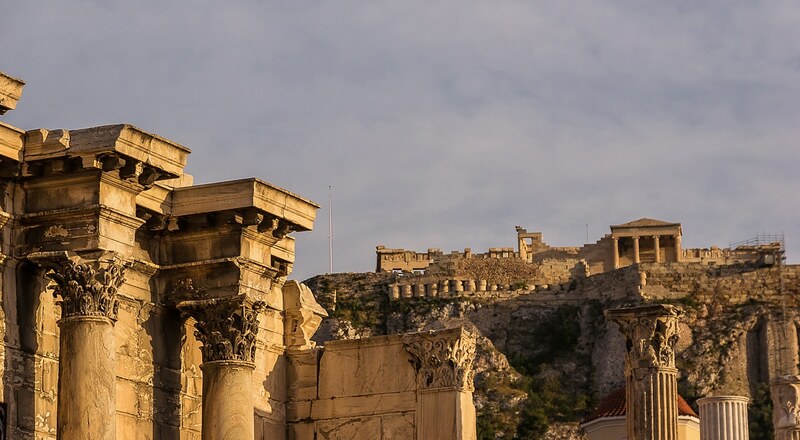 The structure is manipulating the light in a way that makes the unique exhibits come to life, and every time you look to the north, Acropolis is there, immovable and framed by the building itself like a painting. 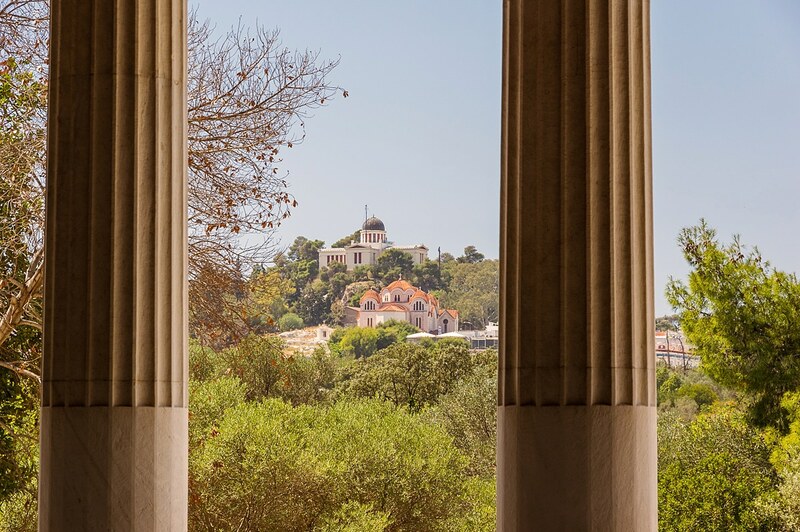 Looking to the west, is a flattop hill known as the Areopagus which was used as the first justice court of ancient Athens. 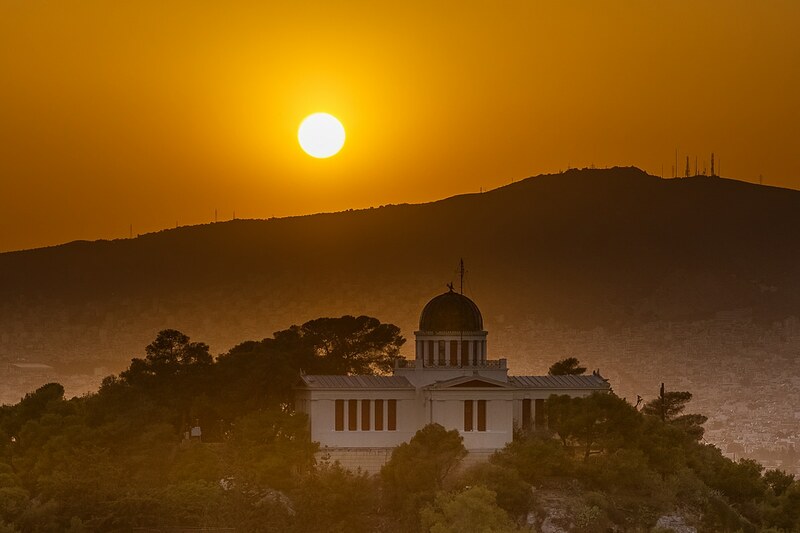 Nowadays people gather there to watch the sun setting behind the Observatory which is located opposite on the Nymphs’ hill. On the north side looking down at the base of the Holy Rock (as Acropolis is also addressed) you can see the rooftops of Plaka and the labyrinth alleys that surrounds them. On the north east foot of the hill there is an area with small houses and even smaller alleys. This part is called Anafiotika to the honor of the first builders who came from Anafi island and built their small houses and Cycladic style alleys there. 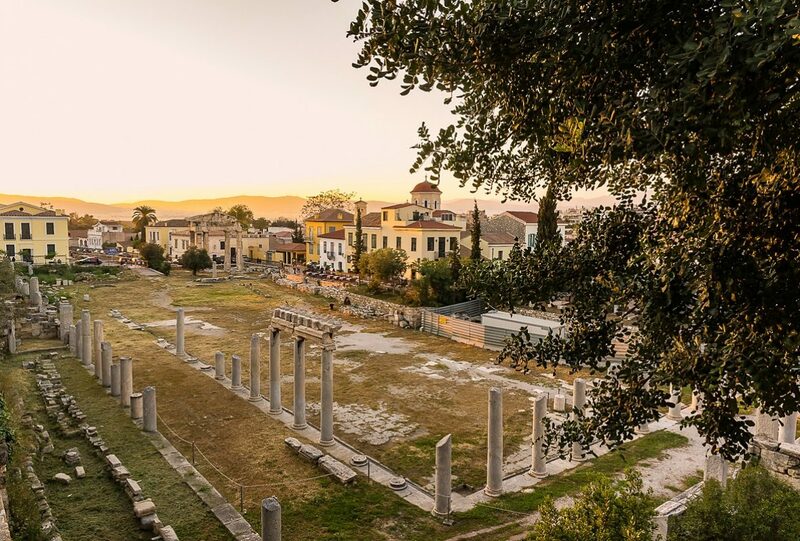 Further away to the north, is Roman forum with Hadrian’s library behind it and Greek Agora to the left, featuring the magnificent Stoa of Attalos and the temple of Hyphaestus—one of the most well preserved temples in Greece. A bit further to the west is Kerameikos. The potter’s ancient neighborhood and burial ground. And finally to the east you have a great view of the ruins of Olympian Zeus temple or “Stiles Olympiou Dios” as it’s called in Greek. 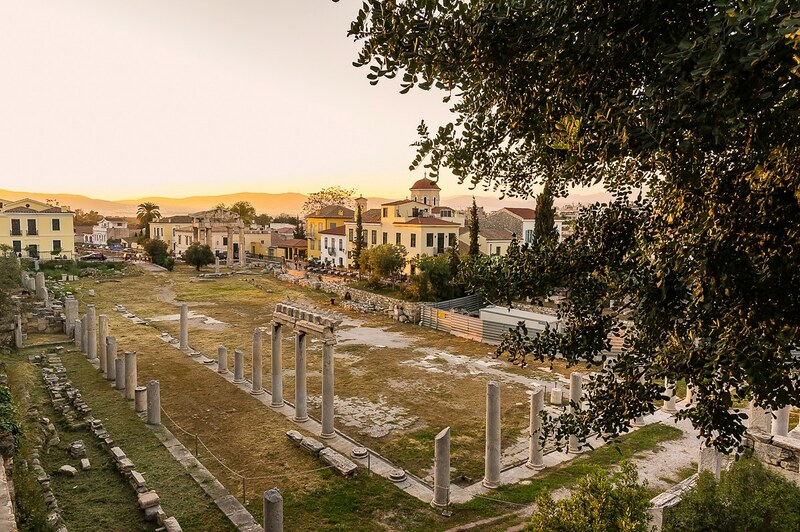 The density of ancient sites in the Athenian center is just mind blowing and for people who appreciate history it can’t get much better. 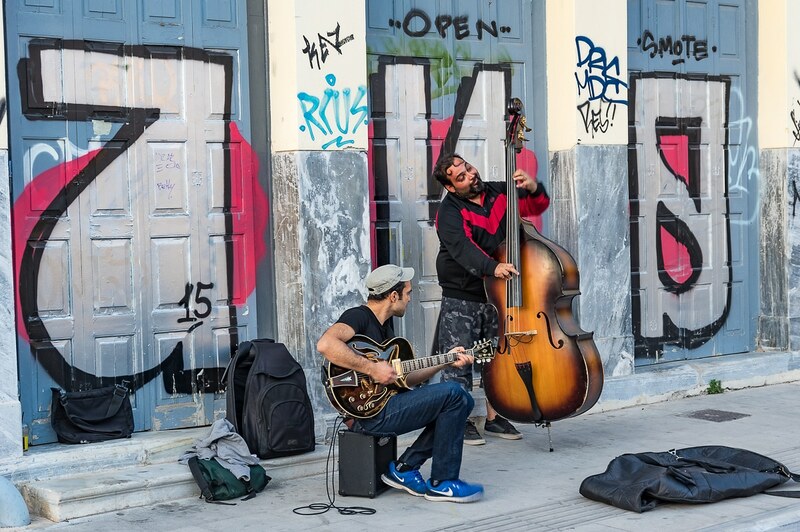 Monastiraki, a buzzing square at the edge of Plaka is an ideal starting point for downtown walks. It’s the point where the commercial part of Ermou Str. 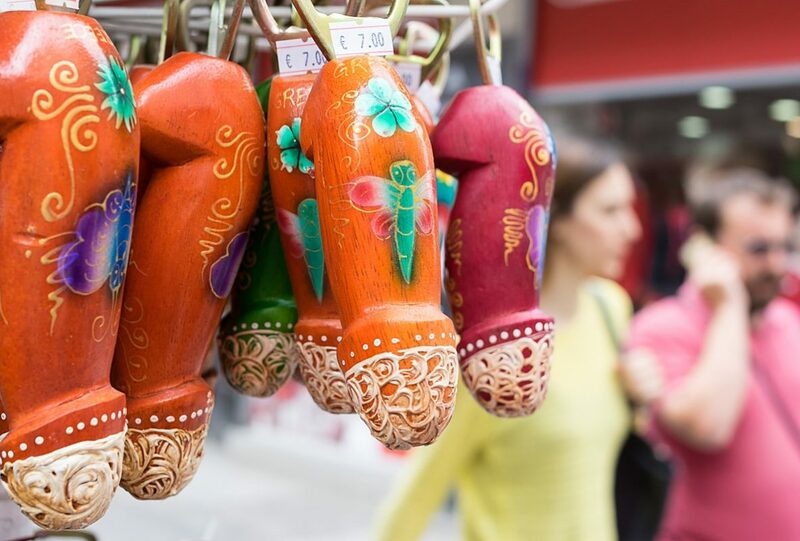 starts but its biggest attraction is the flea market which is more interesting and is thriving, mainly on Sunday mornings when Athenians gather downtown for their traditional Sunday walk and coffee. Walking past street artists and vendors who sell everything from fruit to local pretzel (“koulouri”) you enter the small alley next to the train station. The buzz suddenly changes pitch dramatically. It’s a long narrow street with little shops left and right which provide shade for the most of the day keeping the travelers cool while going up and down. 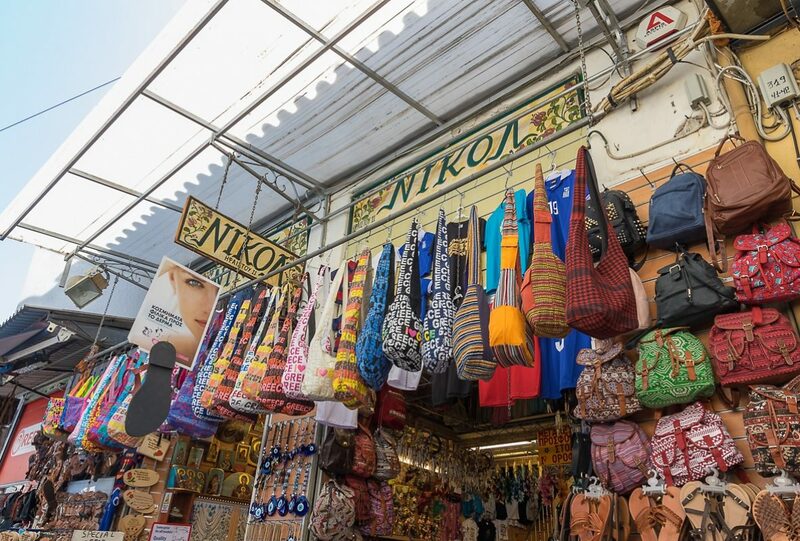 Their facades are heavily decorated with the merchandise like banana trees and no space is left unused. From t-shirts to military equipment and from gothic boots to old vinyls, vintage cameras and antiquities of all sorts. 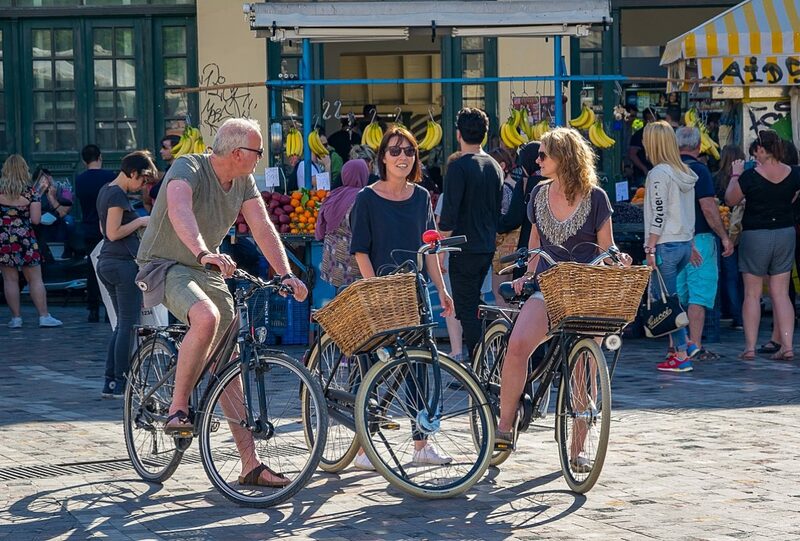 You will also find incredible little spots like the cryptic Metamatic:TAF cafe which is located at the inner yard of a typical old Athenian house complex in the heart of the market, or the decorated “Kuzina” and “Davinci” on the parallel Adrianou Str. for a gourmet meal and killing waffle respectively. 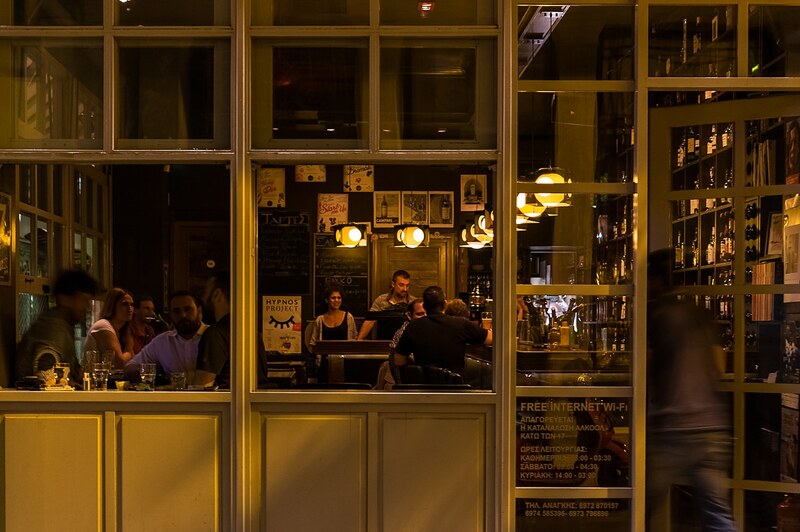 On the same street there is also “Εύχαρις”, a beautiful tavern with great prices to match. Speaking of coffee, one can notice the astounding number of cafes in the city most of which are crowded for the biggest part of the day. 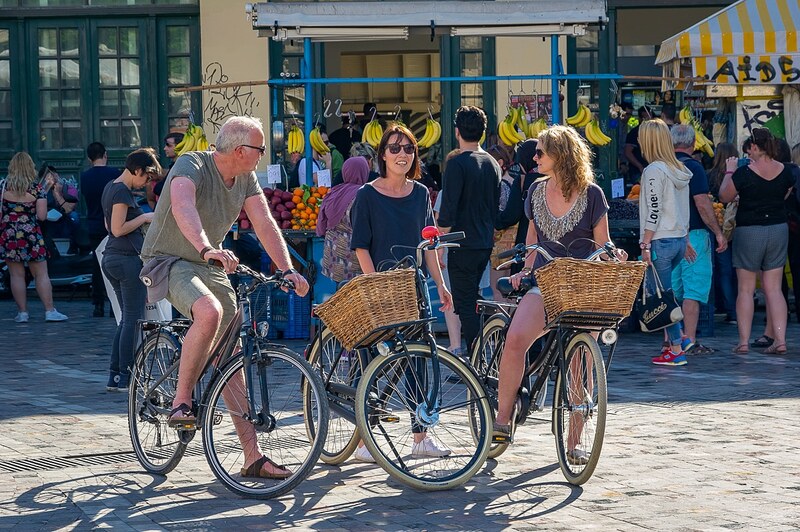 Coffee time is part of the Greek culture and that’s where friends meet, sometimes on a daily basis to exchange news or just hang around and take a break from their day-to-day routine. And we can sit there for a long time, so a special coffee was invented to keep us busy.It’s called “frappe” and basically it is instant coffee shaken with a bit water. Then ice cubes and water are added and sometimes a bit of milk. The secret is that the coffee makes a thick foam which floats on top of everything and dissolves really slow. At the same time the ice cubes also melt in a similar fashion providing water and keeping the consistency stable so that more coffee can be sucked through the straw. Brilliant! 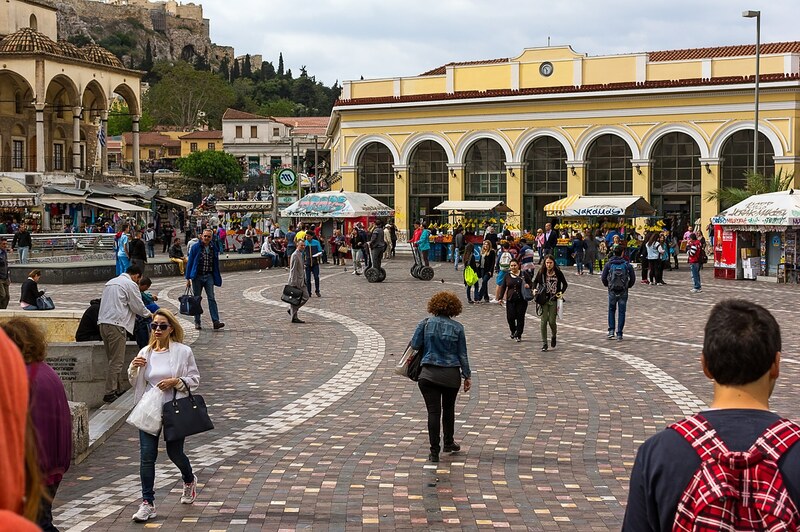 After you are done with the flea market you can board the train to Acropolis or even better walk there through the labyrinth-like alleys of Plaka. The oldest and probably the most characteristic neighborhood of modern Athens with the Neoclassical buildings, their small gardens and balconies overflowing with all kinds of flowers and colorful pots. 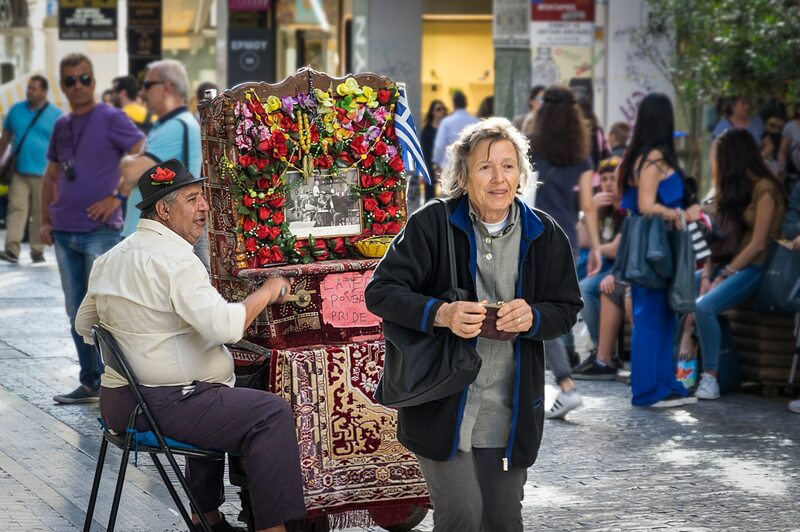 You may also come across a “laterna” which is a Greek version of the barrel piano. It’s a rectangular wooden box decorated with fine textiles and flowers. In the center there is always on old picture usually depicting a woman. The player turns a crank and it produces a very distinctive sweet sound from its cords and bell. Because of its extravagant decoration Greeks compare overdressed ladies with it often calling them “laternas” but I strongly suggest avoiding calling a Greek woman like that in her face. The consequences may be grim. Though it can be confusing to navigate yourself in the narrow alleys, you will never get lost. Just keep Acropolis on your right side and walk around the hill until you find the museum and just opposite, the entrance to the holly rock. 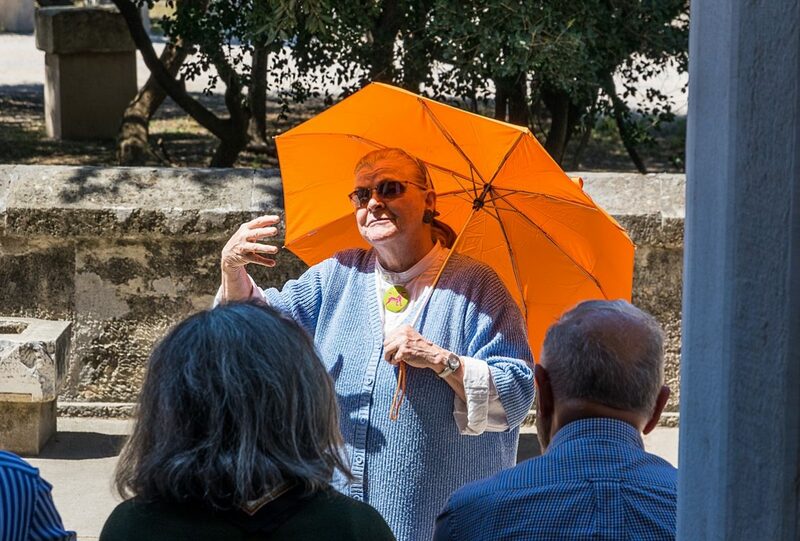 I always prefer to visit the museum first and then Acropolis later in the afternoon so as to avoid the midday sun which can be fiery even in an autumn or a spring day. 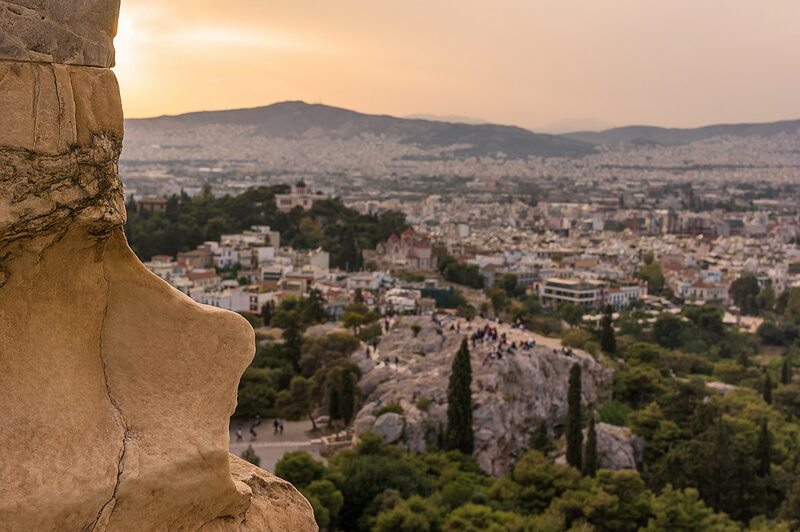 After the visit is over you can use the west exit and go to Areopagus hill which is just across the cobbled road to sit and watch the sunset. 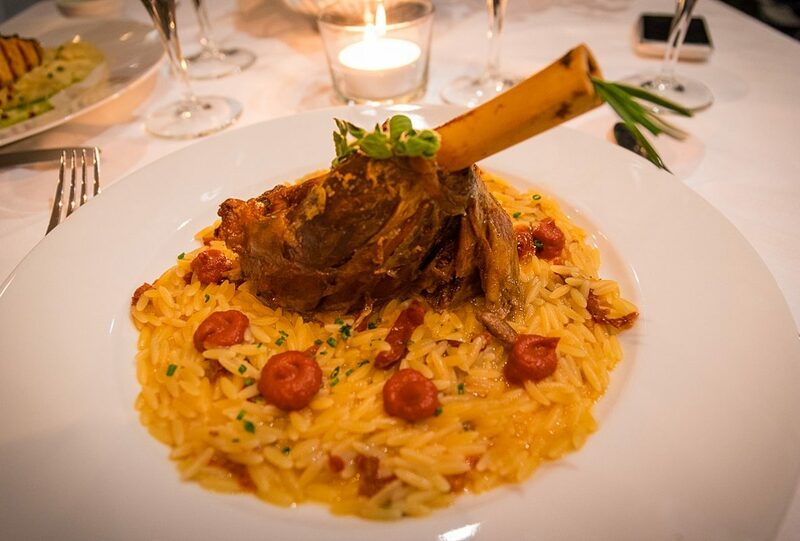 For dinner, Thission or Monastiraki again have endless choices, some of which are exceptional. Keep an eye where locals eat and you should be fine. 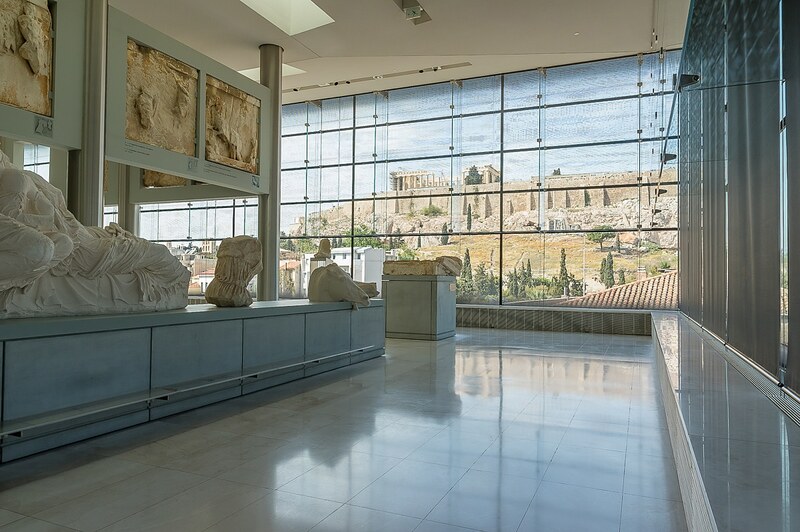 If you crave something exceptional you can always try the Acropolis museum restaurant on the second floor which is open until 8pm every day except Fridays when it stays till midnight. The food is great, the views unique and sometimes accompanied by live classic or jazz music. Although the rates are on the higher end, they are still very reasonable for what is being offered. 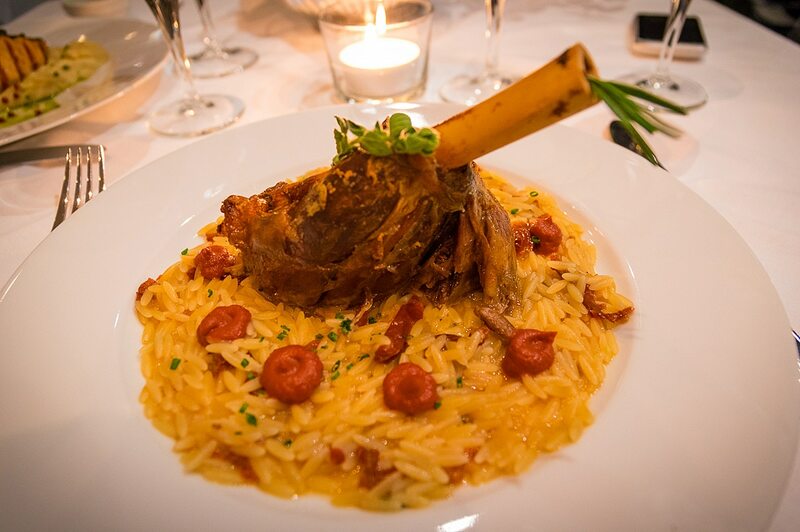 My lamb and manestra (orzo) was delightful during my last visit. And for a last drink I usually pick a place near Agia Eirini—the small church you find when you cross Ermou str. 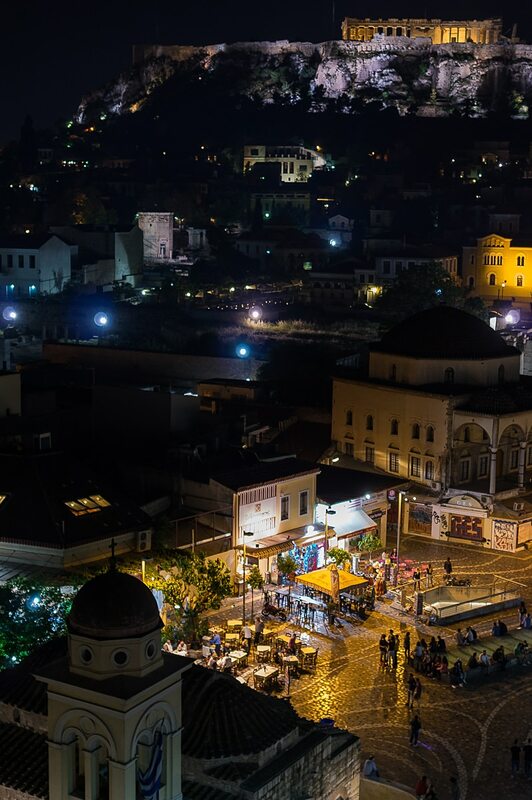 opposite Monastiraki. 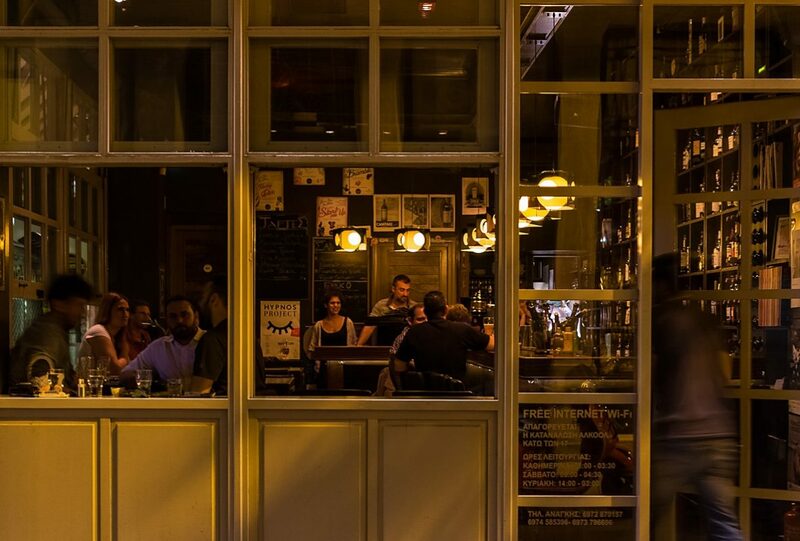 There is a bar for every taste there from art to jazzy ones. Two of my favorite joints are Ambariza for the great off menu cocktails and Speakeasy for the prohibition era ambient only a secret bar could have. 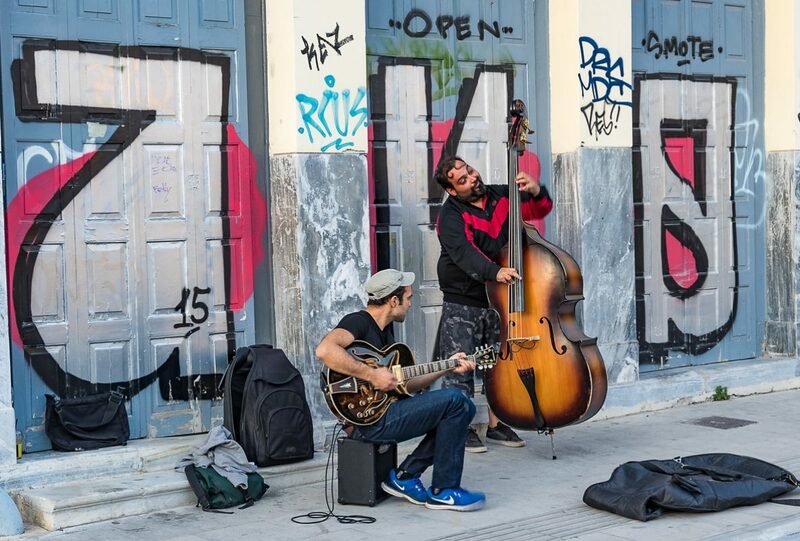 Both are a bit farther from the church on Lekka str towards Syntagma. It would take days to go to every site and every museum in the city. But even if all you have is a single day, the historical center can be very fulfilling and is undoubtedly worth the walking. 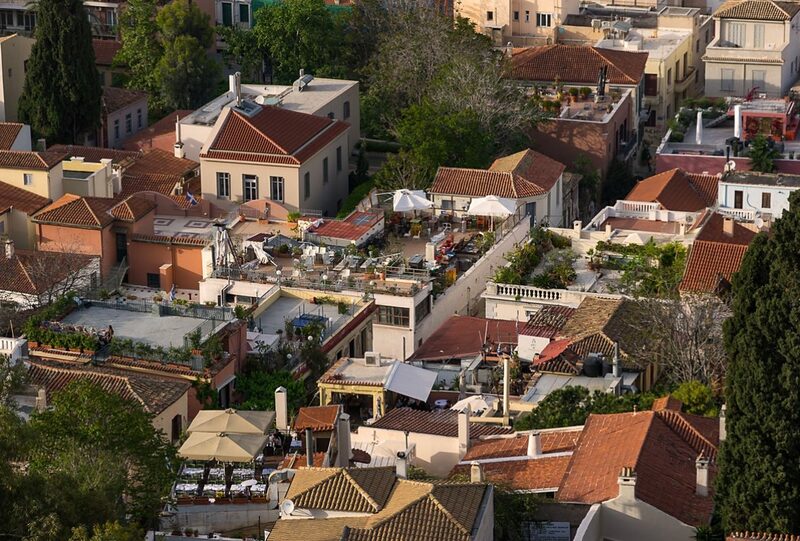 Greece is high up on my wish list. I like visiting all the places where mankind has flourished for a long time. 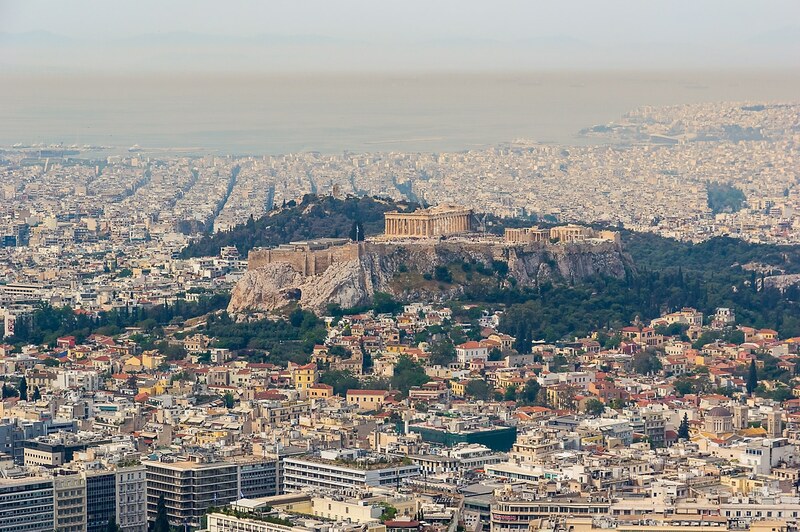 Athens is definitely one of them plus its also a relaxed and fun city. Go for it. Hi Edoardo, thank you for your kind words. It doesn’t get more rewarding than when someone tells me that he/she will travel somewhere after reading my articles. Thank you! It’s a great city, and won’t let you down. What a visual treat! Love all the photos and your post. Hope to walk on those street soon. Ancient living cities fascinate me. 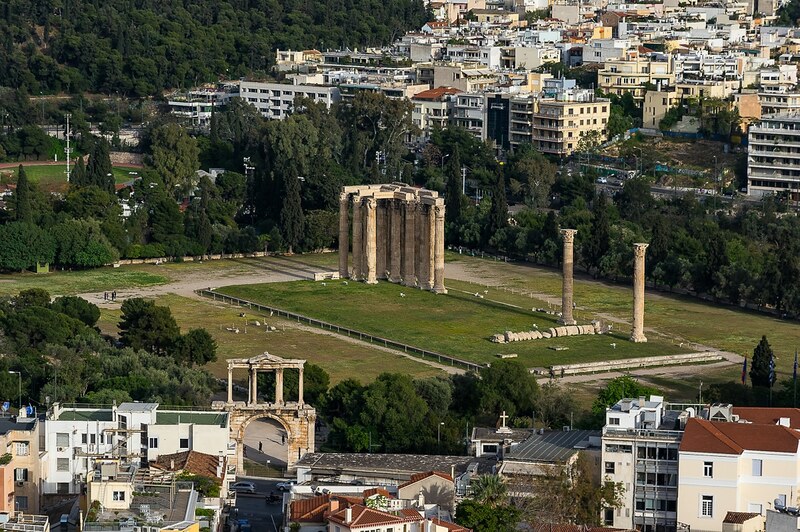 I am yet to visit Athens, but would love to spend some time there among all those ruins. A very beautiful journey! I’ve been to Athens more than once, but always in a hurry and now I know how much I actually missed…. It’s a great city but it takes some time to reveal its secrets.